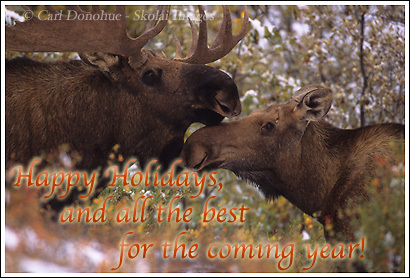 Happy Holidays to you all, be they Xmas or Hannukah or any other celebration of goodwill. All my best to everyone out there for the New Year. This entry was posted in Miscellaneous on December 25, 2007 by Carl D.
Right back at ya man. I almost thought I was going to spend Christmas with no power (outage yesterday am, and out most of the day). (Was a good day for a little guitar playing!) Hope you have a good one. Hey, just noticed the flashy at the top – way cool ! Merry Christmas Carl. I hope you and the dogs are having a good time!